Minnetonka’s Vinni Lettieri liked the academics, liked the coaches, liked the program. Most of all he liked being close to home. Lettieri’s commitment on Tuesday, Sept. 20, to play hockey at the University of Minnesota also comes with the opportunity to play alongside his cousin, Edina’s Lou Nanne. Lettieri said there is a lot to like about that, too. Nanne, also a junior, gave his verbal committment to the Minnesota exactly one week before Lettieri. They are grandsons of Lou Nanne, a former Gophers player who went on to play, coach and serve as general manager for the Minnesota North Stars. Lettieri’s father, Tino, is a former professional goalkeeper who played 11 seasons of professional soccer, including a four-year stint with the Minnesota Kicks of the North American Soccer League. 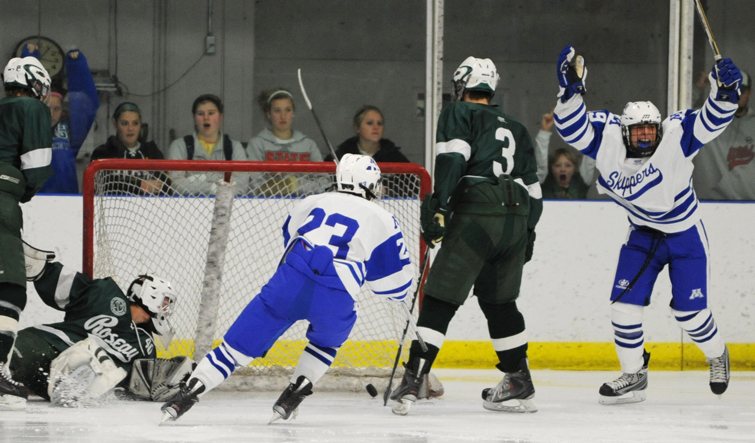 The 5-foot-8½, 165-pound Lettieri and 5-10, 165-pound Nanne are on opposite ends of the fierce Lake Conference rivalry between Minnetonka and Edina. As a change of pace, they have spent the past several weeks playing together on Team Southwest in the Upper Midwest High School Elite Hockey League. They were briefly paired on the same line but have spent most of the fall playing on different forward units. Lettieri said he had narrowed interest from more than a dozen schools, most notably Harvard, North Dakota, Ohio State and Minnesota. The final decision came down to North Dakota and Minnesota. Minnetonka, which has seven players in the Elite League, undoubtedly will be ranked among the top five Class 2A teams in the state to start the season.